Robert Mueller's team on Wednesday asked a judge not to make them share any more evidence with the lawyers representing the Internet Research Agency because someone allegedly using a "Russian IP address" leaked some objectively valueless files his team shared with them during discovery -- most of which they admit were likely already public. Mueller has been fighting for months now not to make any of the supposed "evidence" he has against this "Russian troll farm" public. As I reported in May 2018, Mueller likely never thought they would challenge any of his claims in court as the accused are all Russian nationals. This supposed "leak" is now providing him with one more excuse not to share any of his alleged "evidence" with the IRA's lawyers or the American public. Federal prosecutors said Wednesday that confidential discovery material provided to a Russian company accused by Special Counsel Robert Mueller of being a troll farm was stolen, altered and made public on social media "as part of a disinformation campaign" to discredit Mueller's Russia investigation. Concord Management and Consulting is one of three Russian companies indicted by a federal grand jury in February 2018 for allegedly interfering in the 2016 presidential election through "information warfare." The company pleaded not guilty in May. Prosecutors allege that on Oct. 22, a "newly created" Twitter account, @HackingRedstone, tweeted, "We've got access to the Special Counsel Mueller�s probe database as we hacked Russian server with info from the Russian troll case Concord LLC v. Mueller. You can view all the files Mueller had about the [Internet Research Agency] and Russian collusion. Enjoy the reading!� The tweet included a link to a webpage that contained file folder names and folder structure matching the material Mueller produced. As The Guardian reports: "The prosecutors said the filesharing site had confirmed to the FBI that the account which posted the material was registered from an IP address -- an identifier for devices connected to the internet -- in Russia." Russian hackers -- who are some of the best in the world -- apparently don't understand the basics of IP masking! Meanwhile, Mueller's team says the evidence was "altered," according to The Daily Beast, and the files they shared were mostly already-public documents containing nothing of value. We examined the material and found a hodgepodge of already-public documents and copies of known IRA memes, padded with corrupt ZIP files made from gigabytes of random congressional proceedings. We dismissed the leak as a fake. Perhaps that's because it was fake? Yeah, because the pre-dawn heavily-armed raids, the "13 Angry Democrats" and the endlessly manufactured made-up "process crimes" aren't already discrediting the investigation enough! This "leak" contained literally nothing of value and yet they're trying to use it to block discovery! Perhaps more significantly, the mostly-fake discovery was organized into folders with very similar names and organization as the real files handed over to Concord. In other words, somebody used the real Mueller discovery material as a template to craft a more convincing fake. �The file names and structure of the material produced by the government in discovery are not a matter of public record,� Mueller noted. Gee, I wonder who is the only person who actually benefits from this? Just a coincidence, no doubt! Sorry Russkies, no more discovery for you! Someone using a Russian IP address (which is absolute proof a Russkie was involved!) 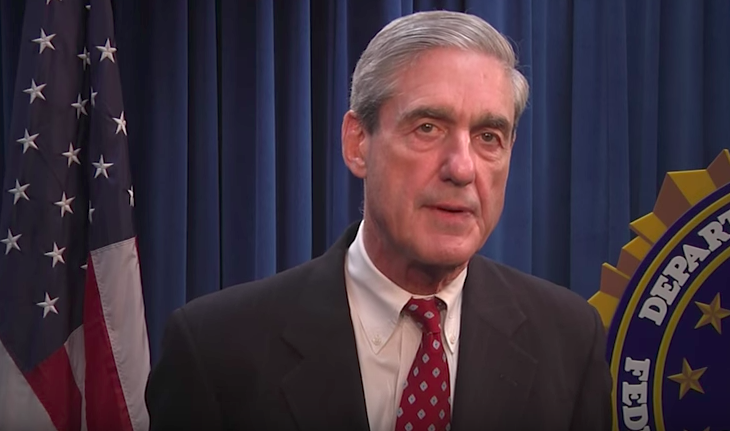 shared some garbage documents of no value online so neither you -- nor the American public -- get to see any of the reams and reams of evidence Mueller totally has against you! You were apparently too stupid not to use a simple VPN or the Tor Network to get a non-Russian IP to share the files -- so your loss! Mueller thinks we are all complete idiots. The media -- of course -- didn't question any of these ridiculous claims and just ran with it as though it's all totally legit.